Warning: * Remember that CFDs are a leveraged product and can result in the loss of your entire capital. Please ensure you fully understand the risks involved. The prices shown are CFDs offered by Plus500 and are NOT market prices. Plus500CY Ltd is authorised and regulated by the Cyprus Securities and Exchange Commission (Licence No. 250/14). Plus500UK Ltd is authorised and regulated by the Financial Conduct Authority (FRN 509909). Surely a whole range of you notice in last month an increased interest in the virtual currency bitcoin. The purpose of this article isn't to describe the functioning of this virtual currency, we won't occupy with its history or with “bitcoin mining”, we won't give here bitcoins for free. This article is more focused on possibilities of its trading on the stock exchange, as an investment product, that goes currently through boom and its trading offers every day interesting investment opportunities. In short what is Bitcoin. A whole range of experts naturally disputes long time over that, what create the value of this virtual currency. 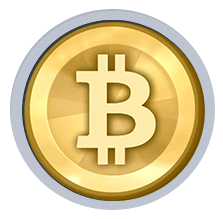 One of often repeated mistakes is that the value of the currency Bitcoin is directly given by the number of the users, who are Bitcoin mining. According to the theory should it also means, that the more users are Bitcoin mining, the higher is its value. Nevertheless it's just the other way around, the rising value of Bitcoin increases the number of miners, it follows that the users, that participate in the mining of this currency can't assess the real value. That's why they today hold the view, that the value of this currency is based just on the demand and the supply on the market and is so covered only by the confidence, that in the future it will be possible to pay with it just like today.